Home Biochemistry Why does the consumption of alcohol produce a burning sensation? What is the physiological explanation for the burning sensation of alcohol? 1 Why does drinking alcohol feels like burning? 3 Here is the truth! Why does drinking alcohol feels like burning? Everyone ever tasted alcohol knows the burning sensation it produces. But what is actually producing this burning sensation? New research clearly throws some light into it. There was a lot of misconceptions regarding how alcohol is producing this feeling. Alcohol deprives water content out of our mucous epithelium. This drying up of mucous epithelium is producing the burning sensation. 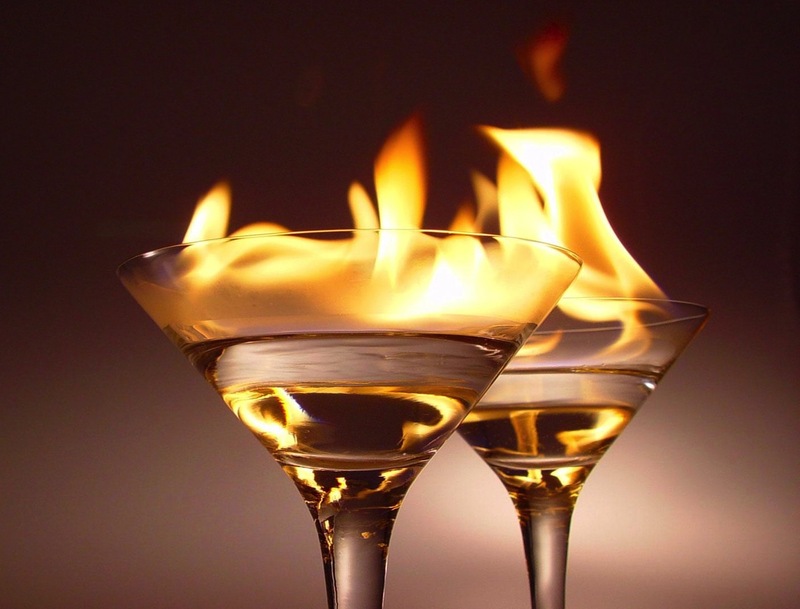 Alcohol absorbs water from tissues, but it is not the reason for the burning sensation! Alcohol expands blood vessels thereby increasing he circulation, which is producing the heat. Just tasting the alcohol won’t increase blood circulation. Only after consumption of alcohol that the circulation to stomach is increased. It irritates skin and produces the burning feeling. The truth is, it produces a cooling effect when comes in contact with the skin. This cooling effect is produced by fast evaporation of alcohol by absorbing the body heat. VR1 receptor is sensitive to alcohol in a concentration dependent fashion. Particular concentrations of alcohol (ethanol) increases the sensitivity of VR1 receptors by decreasing its heat sensitivity from 42°C to approximately 34°C.2 Normal temperature inside our mouth is more than 34°C, so alcohol is prompting the receptors to perceive our own body temperature as hot! It is proved that, knocking out of TrpV-1 receptor in mice causes an increased consumption of alcohol compared to their normal counterparts.3 This is also a possible explanation for the sensitivity of inflamed tissues to ethanol, such as esophagitis, neuralgia or wounds. Alcohol activates the VR1 heat receptor in your mouth and throat. Ethanol and capsaicin both bind to the VR1 receptors in your mouth, but ethanol merely makes them more sensitive. Ethanol lowers the activation threshold of your VR1 receptors, which means that your own body heat causes a burning sensation. Cite this article: Why does the consumption of alcohol produce a burning sensation?, in Amazing Zoology, September 18, 2016, https://amazingzoology.com/consumption-alcohol-produce-burning-sensation/. Retrieved on April 23, 2019.